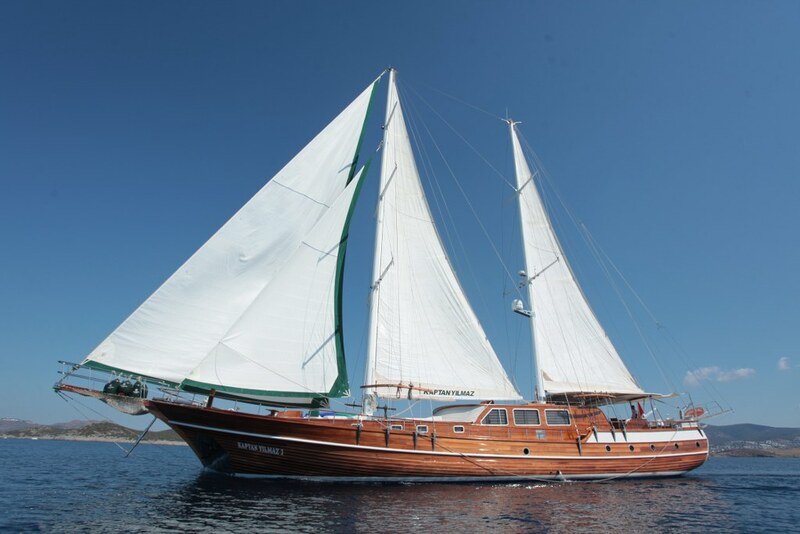 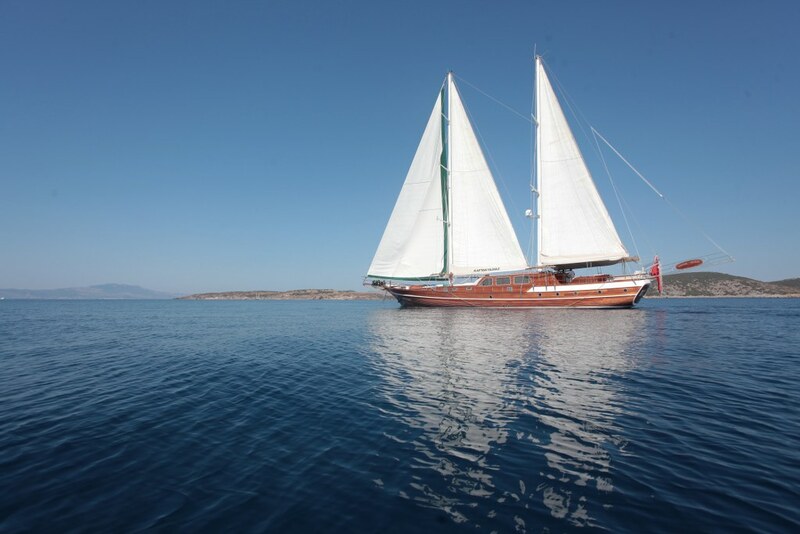 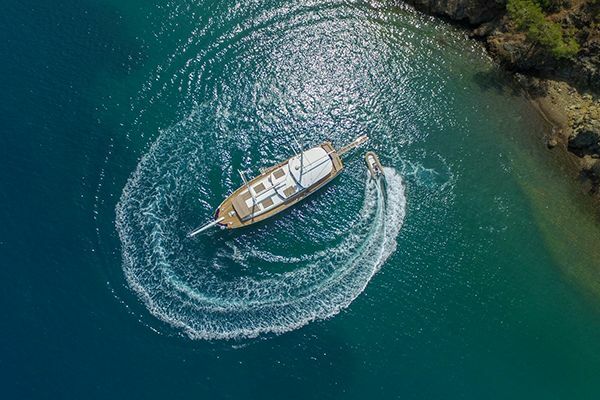 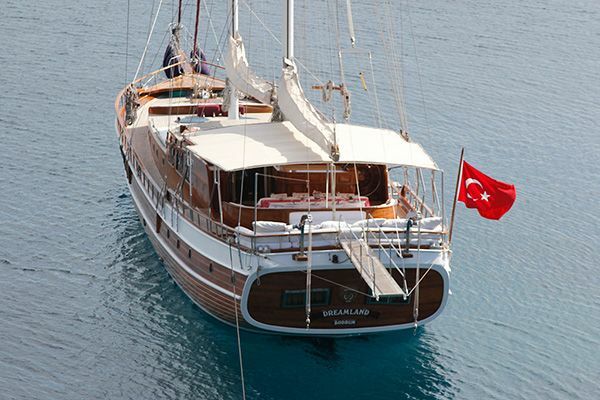 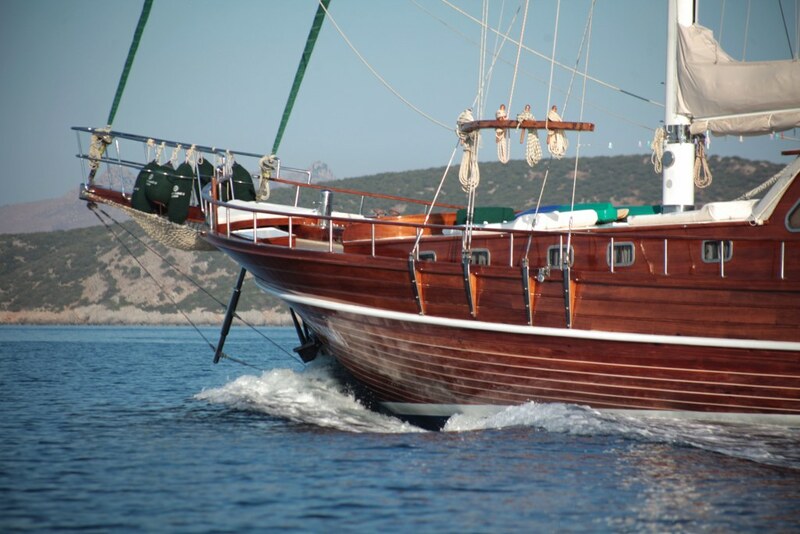 The gulet ketch Kaptan Yilmaz 3 is a superb sailing gulet offering a fine deluxe gulet charter holiday for up to twelve guests who want to savour sea, salt and sunshine along the Aegean coast of Turkey or Greek Island hopping. 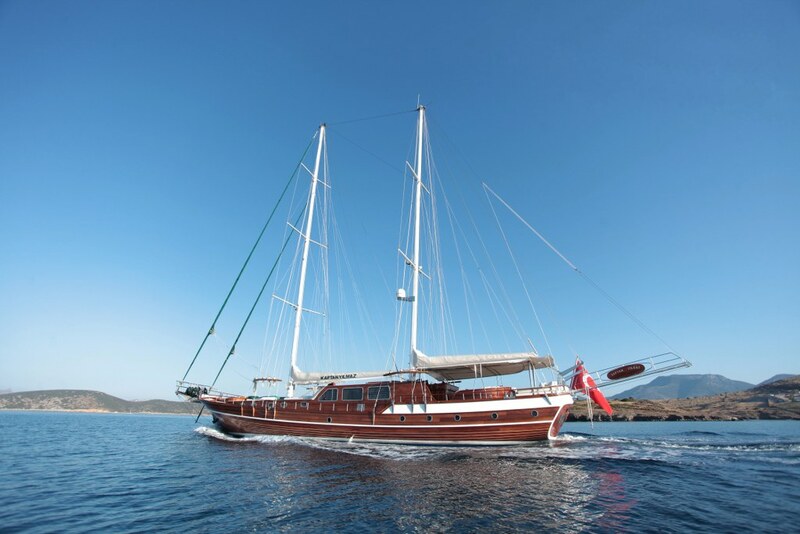 The gulet’s classic hull holds a contemporary design interior with ample space accommodating just five elegant and comfortable cabins. 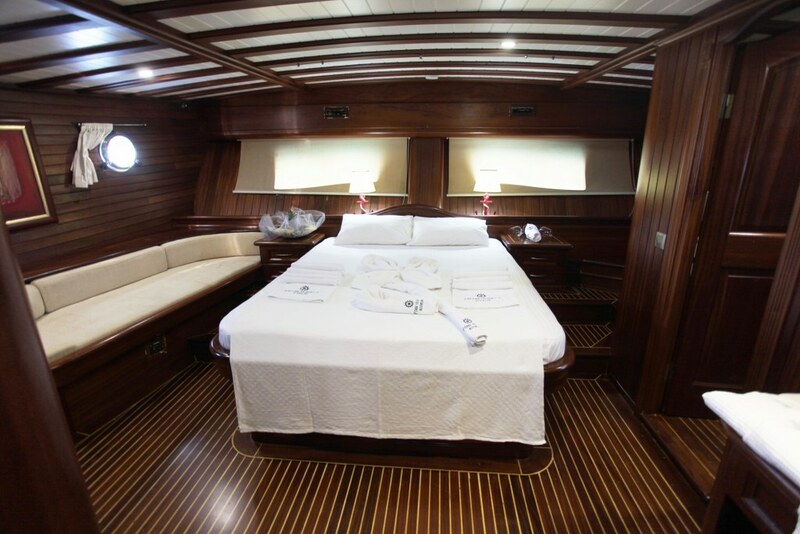 Two master cabins employ the full width of the beam, with the aft master cabin designed to enjoy the light from the windows let into the ketch’s flat stern over the centrally aligned bed. 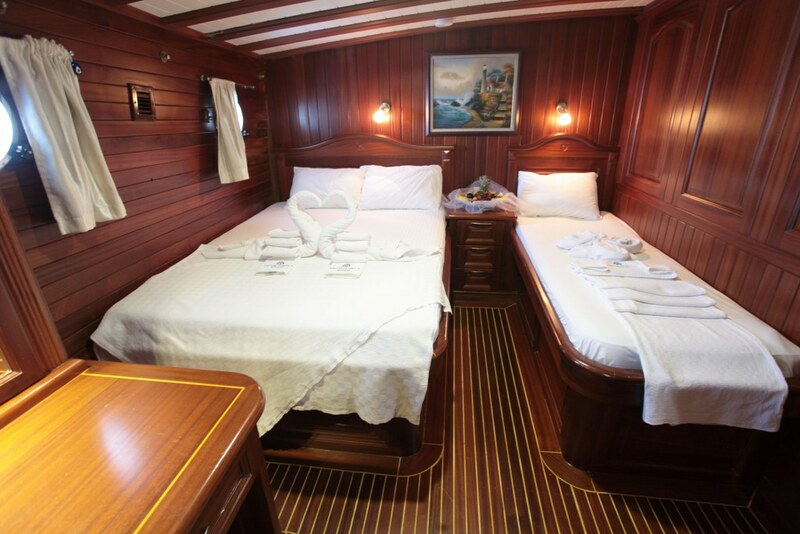 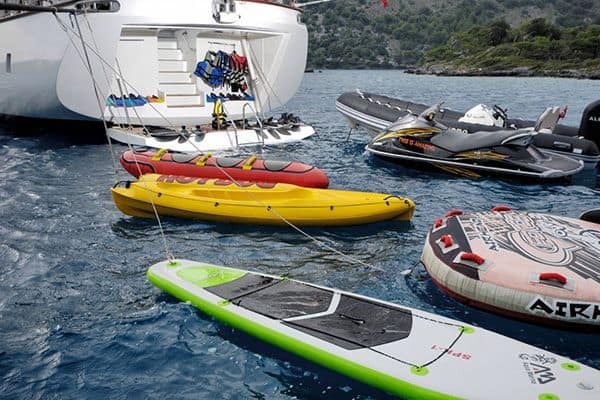 In addition, there are two cabins with a double bed with a single bed to the side, which can be used as a double, twin or triple bed cabins, and two twin bed cabins, which offer flexibility of accommodation for any group of up to twelve guests aboard. 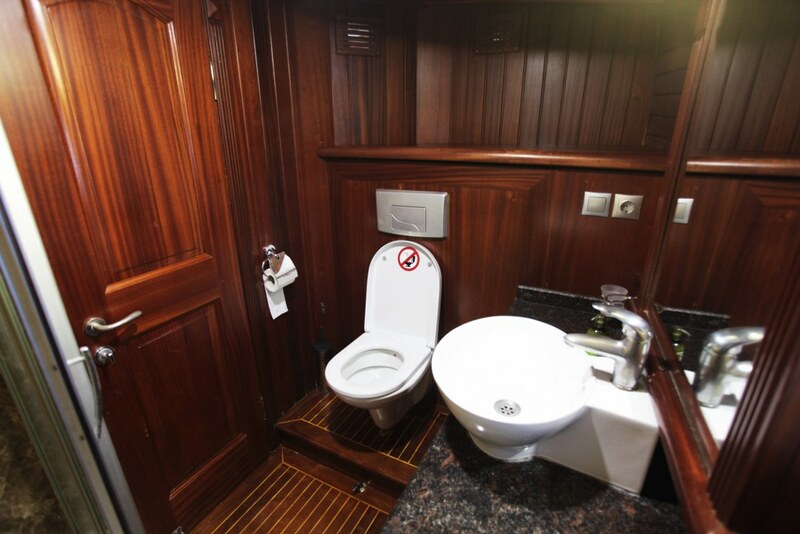 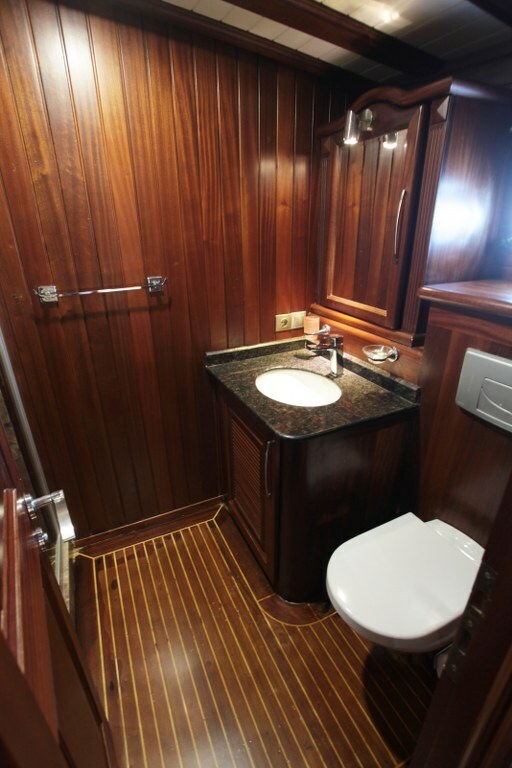 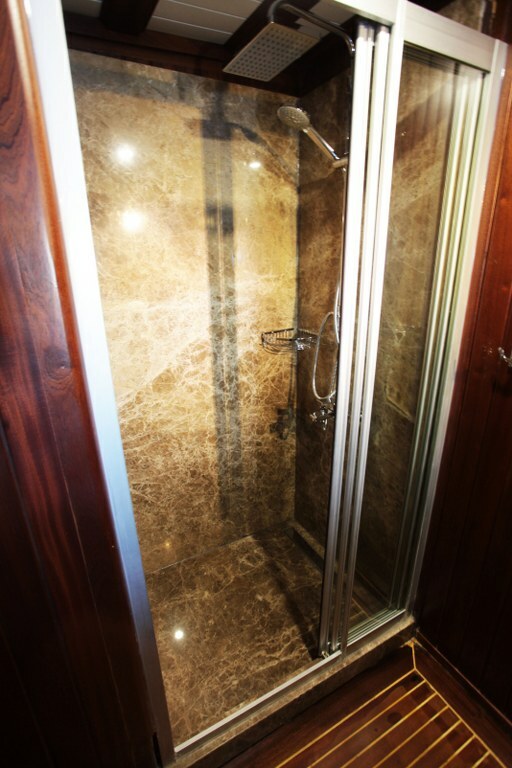 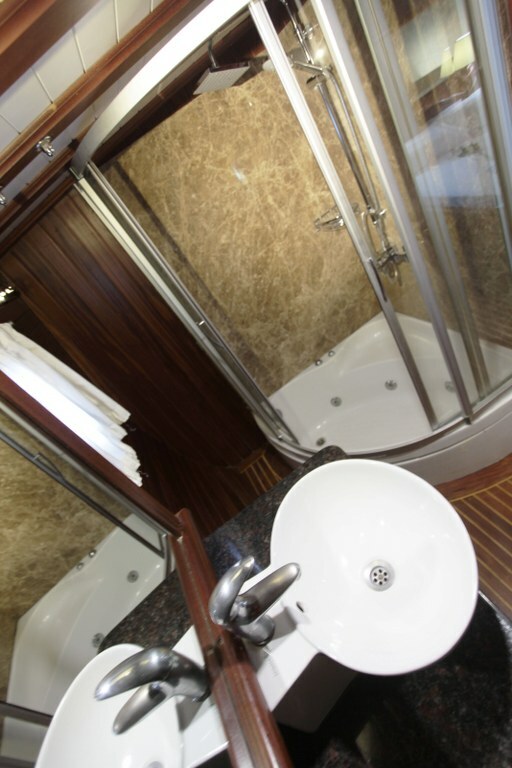 The timber lining of the cabins gives an elegant nautical gloss to the understated luxury of the cabins, with the space affording fully equipped bathrooms with shower, WC ,full basin and hairdryers. 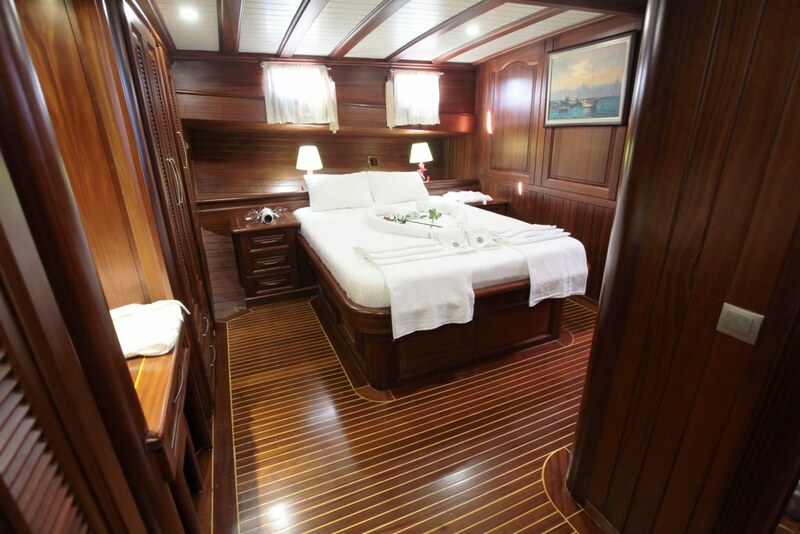 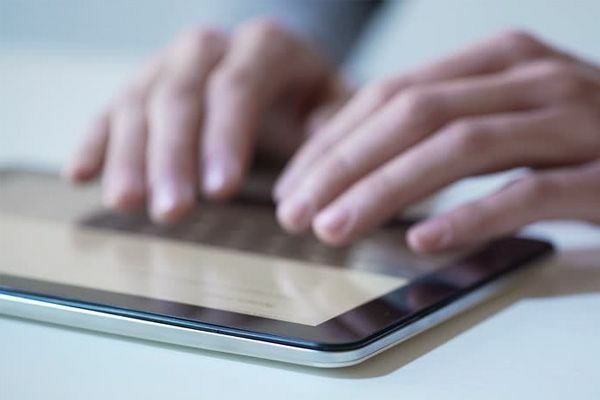 The cabins enjoy airconditioned comfort, TV/DVD and music systems. 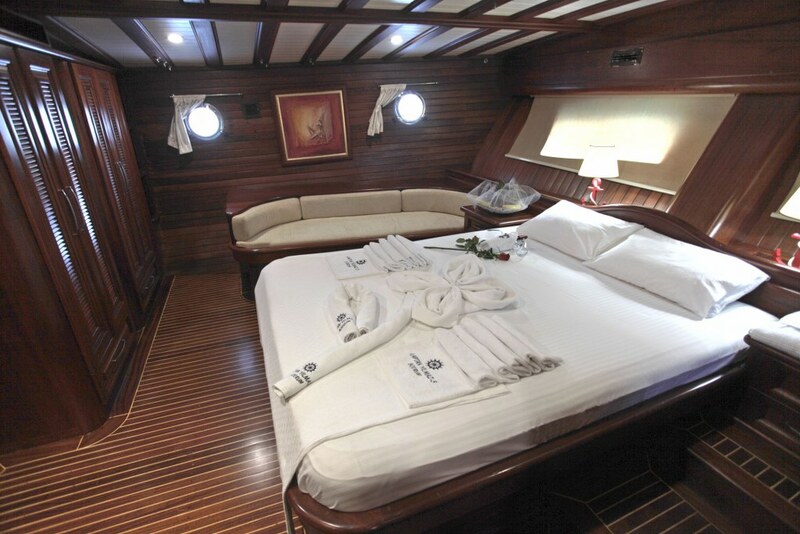 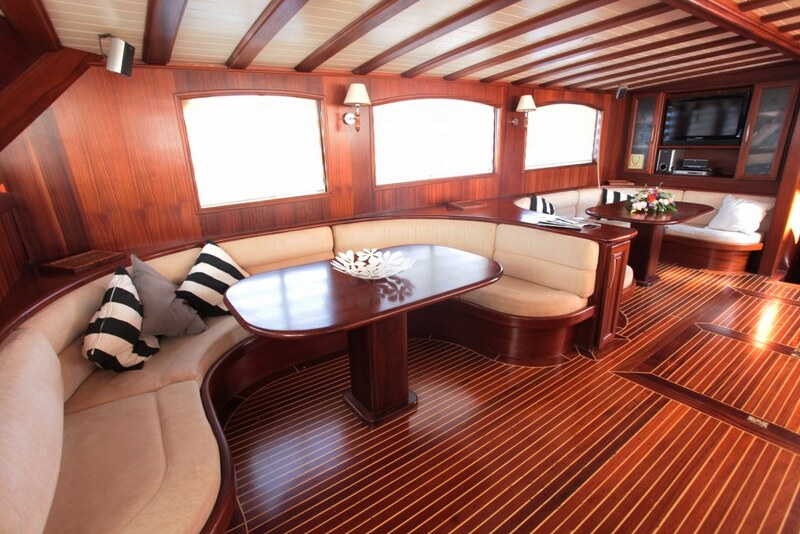 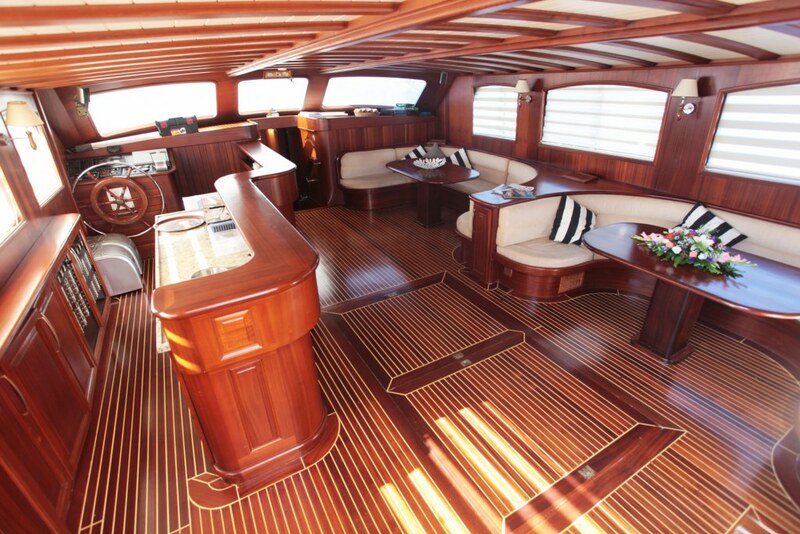 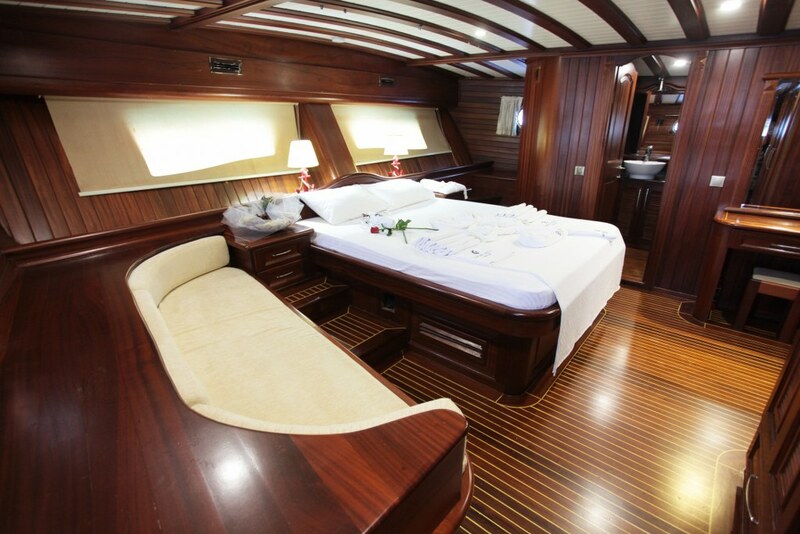 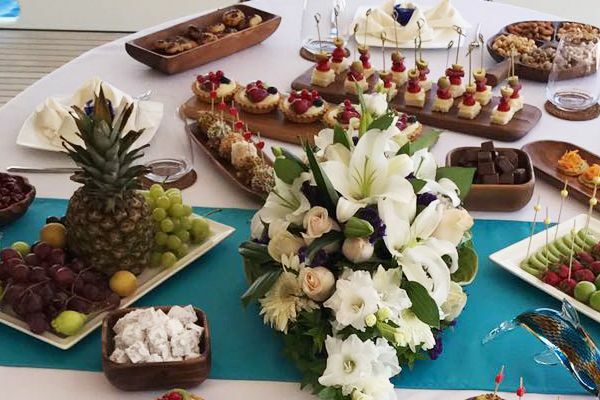 On deck the indoor saloon of yacht Kaptan Yilmaz III ; invites for relaxed moments in airconditioning with a full TV, DVD and music system in place, and the option to dine indoors as well. 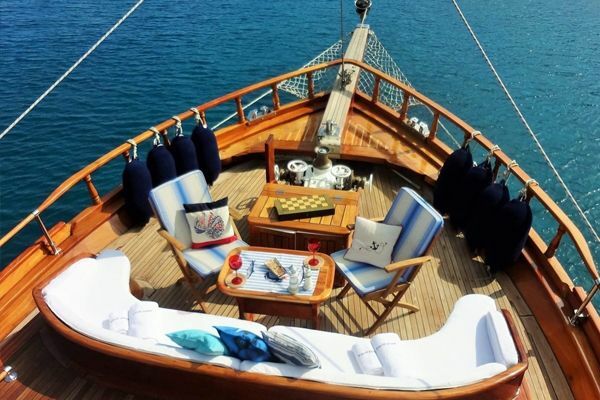 But to enjoy the full experience of a gulet cruise aboard the Kaptan Yılmaz III is to be on deck whether relaxing on the inviting stern pad of cushions, dining on another superb meal on the aft deck dining table with its own curved bench seating, or sunning on the personal sunbeds on the fore deck. 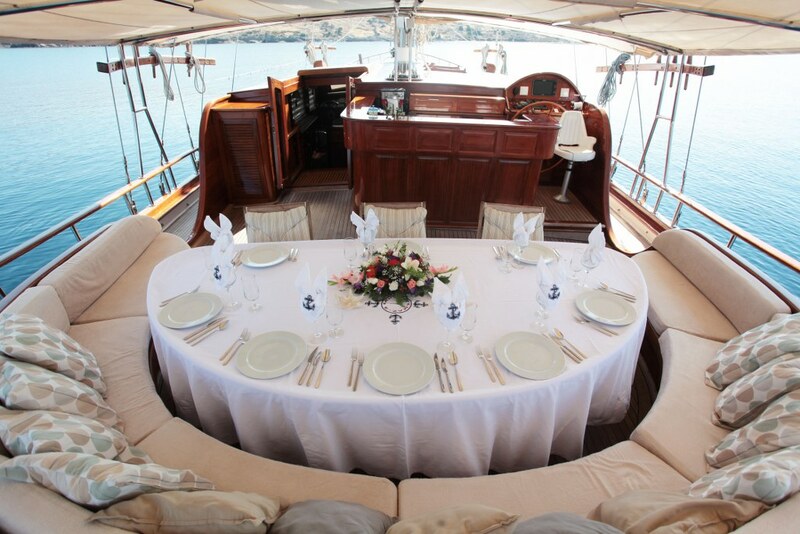 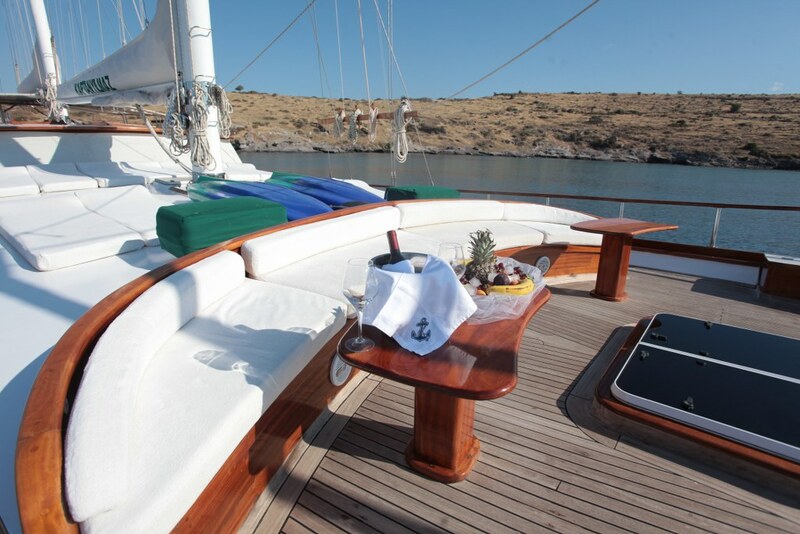 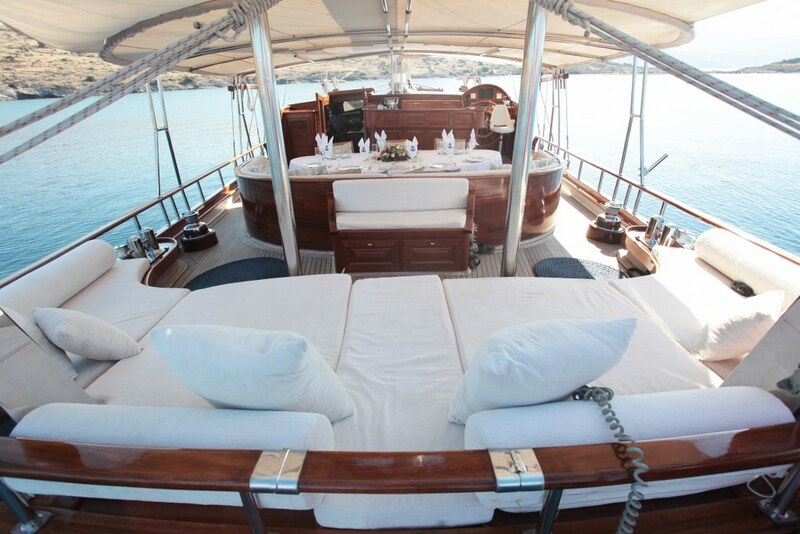 The bow seat is a favourite place any time of the day, when enjoying the views as the gulet moves under sail, or enjoying a pre-dinner drink when moored. 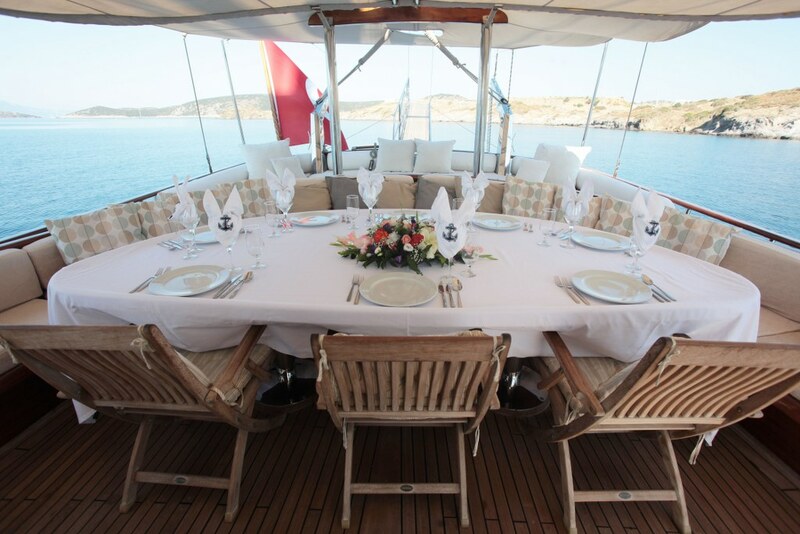 Captain, chef and crew of 3 on Turkish yatch Kaptan Yilmaz , who have their own separate quarters, attend to all the meals preparation and service, bar service, cleaning, boat care, and use of water toys and equipment by guests, so will do all they can to make sure that the guests enjoy their cruising holiday on the Aegean and Mediterranean coasts of Turkey.